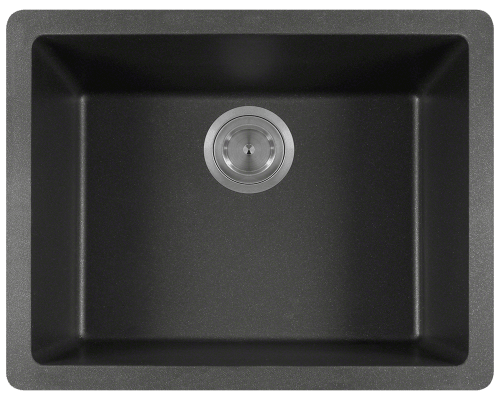 More and more manufacturers are offering what are referred to as quartz sinks. These basins go by many other names such as granite composite, composite granite, or just composite sinks. MR Direct has branded theirs TruGranite. All are constructed from a blend of crushed stone and acrylic. 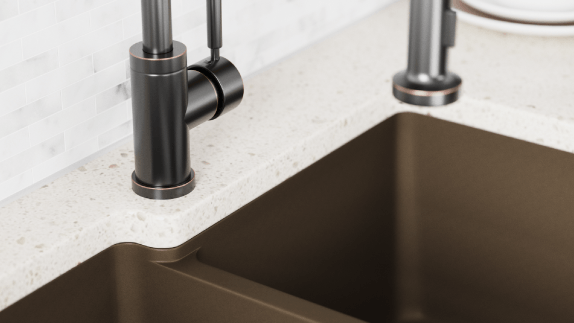 The type of stone, the specific polymer formulation, and their ratio to each other; determines the appearance and quality of the sink. Ours are 80% quartz and 20% acrylic. 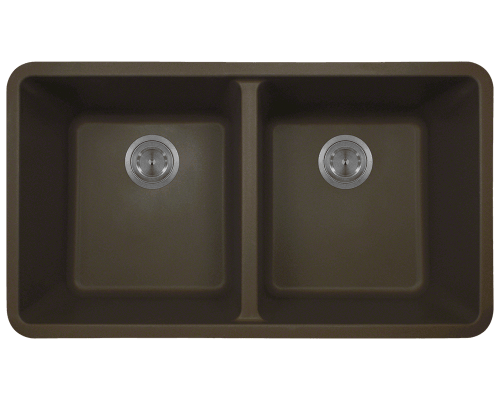 As an undermount quartz composite kitchen sink, our TruGranite sinks are designed to be installed below the counter. 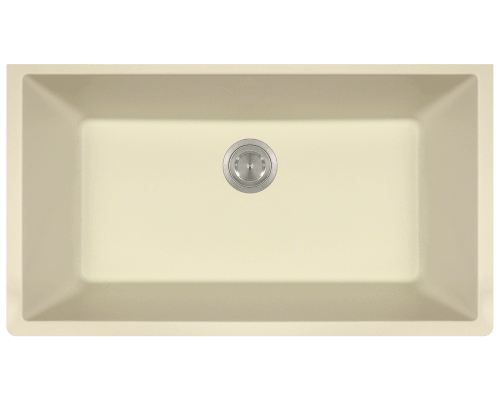 Each MR Direct undermount quartz sink has a completely level bottom and straight sides. 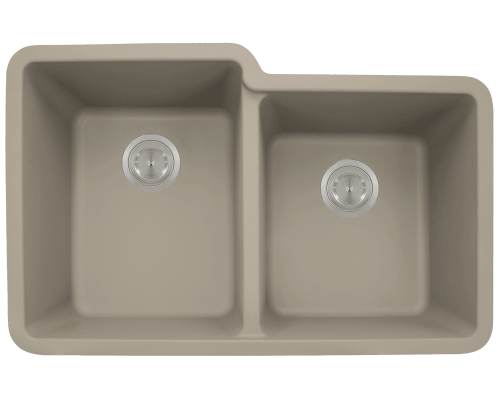 The undermount, granite composite kitchen sinks can be in a positive, negative, or flush reveal. 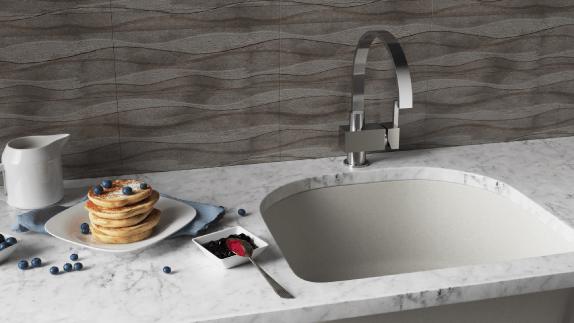 These options add to the contemporary appeal of an undermount sink. 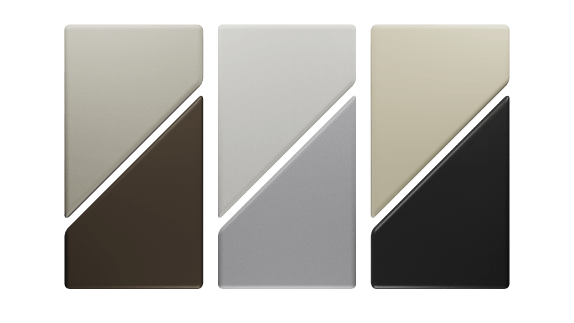 Our composite undermount sinks are available in seven unique formats and six colors. 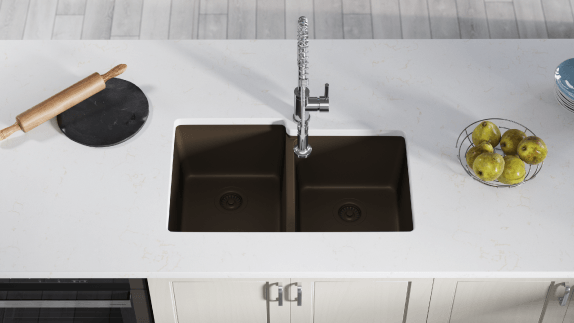 Whether it is a single, double equal, double offset, or even a D-shape undermount quartz composite sink; each can be ordered in black, beige, slate, mocha, silver, or white.